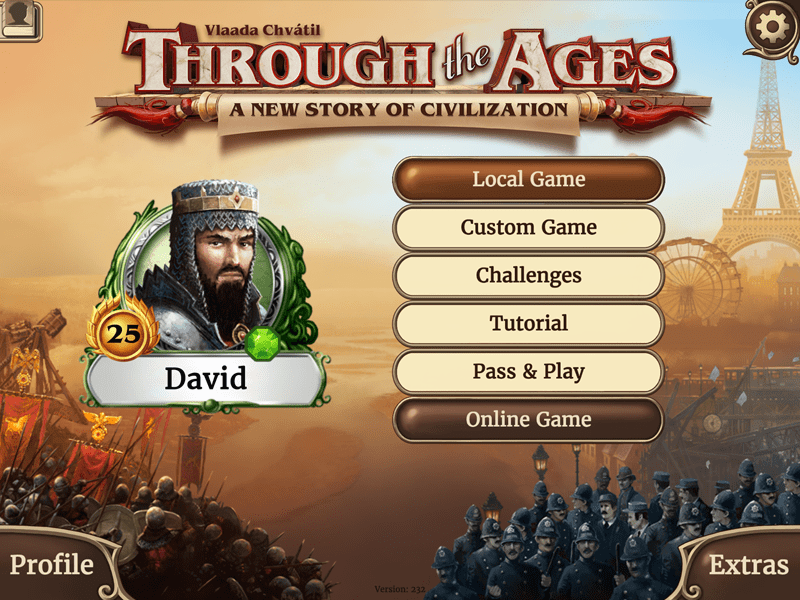 Last year Vlaada Chvátil’s civilization-building game was released as a mobile app for iOS and Android and now PC players can enjoy the digital game as well. Through the Ages is slotted to be released on steam at the end of the month! In the game players attempt to build the best civilization by drafting cards that will provide them with resources,new technologies, leaders, wonders, and military might. 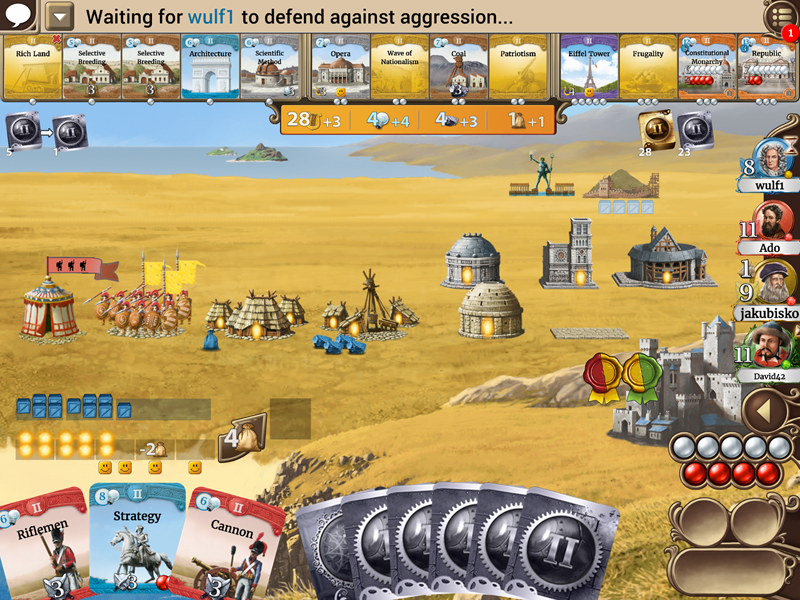 As you play, your civilization progresses from ancient times to the modern day. “With the mobile version, we did our best to bring maximum comfort to the players, and the steam version goes even further, bringing the experience to the big screen. All the reviews and great reception of digital Through the Ages were very encouraging during the process, as it is awesome to know there are players who truly appreciate our work.” says Vlaada Chvátil, the author, and the in-house digital project leader. Through the Ages is coming to Steam on March 26th 2018 for $9.99 the first week.